“Pretend you’re trees. Open your arms wide like branches reaching out,” I said to the tiny group of people posing before my camera. They stood there, smiling at me, with outstretched arms. We were gathered for the first meeting of The Compassionate Friends of Ithaca, New York, a child loss support group. “Look up at the sky,” I directed, thinking they looked like children waving in the wind. I was designing artwork for our brochure, for a Facebook page, and our new website. Since my daughter Marika died, it has not been easy to ask for assistance. It had taken me four years to even want to be part of a grief support group. So last week, when I needed people to pose, I had hesitated sending out the email, “I need help.” But now, here were these new friends of mine, swaying with arms held high like they could catch the sun. Or catch a child falling from heaven. They were eager to be helping me. I was so touched. The Compassionate Friends is a worldwide support group for people who have lost a child or grandchild or sibling. All the people running Compassionate Friends groups are people who have lost children of all ages, from many different causes. Bereaved parents are a diverse group from all walks of life and all races. They understand what parents go through, and hold regular monthly meetings where they reach out to each other, sharing their pain and the love they have for their children. Together they grieve and heal and grow. In Ithaca, our new TCF chapter meets the first Thursday of each month from 5:30 to 7:30 at Hospicare on 172 E King Road. If you are a bereaved parent nearby, or you know of someone who is and would benefit from opportunities to connect and learn together, I invite you to contact us at tcf.ithaca@gmail.com or (607) 387-5711. 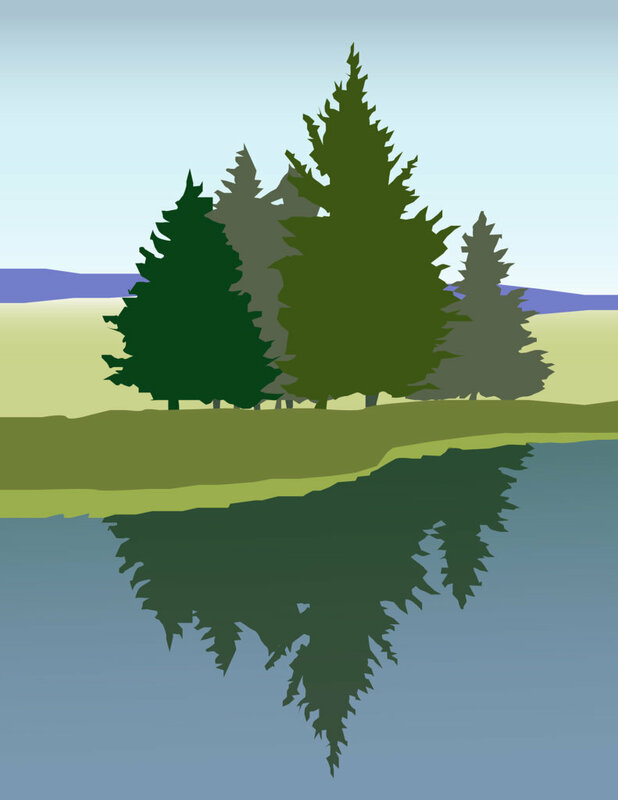 The morning after that first TCF Ithaca meeting I came across this illustration of a stand of pine trees I’d made for a friend. Immediately I connected the picture to what I was trying to portray by lining the parents up with outstretched arms. A stand of trees is a community of trees having a definite distinguishing characteristic, a particular uniformity, which makes it stand out from other nearby trees. The Compassionate Friends is my stand. These folks “get” who I am now. In a society that puts limits on grieving, and is uncomfortable discussing death or deceased loved ones, I have found a place to go where I can still be Marika’s Mom. In this journey called life, we all just want our children’s lives to matter, to be remembered. Hence, our Credo: We need not walk alone. We are The Compassionate Friends. Do you know someone who is grieving? Are you grieving? This entry was posted in 2017 and tagged a stand of trees, asking for help, bereaved parents, child loss support groups, friends stand together, grief, grieving together, healing journey, Ithaca New York, The Compassionate Friends on 2017/06/05 by Robin Botie.